So True. During the week of Sukkot, we consider our sukkah to be our home for seven days. Since the primary activities of the home are eating and sleeping, many spent their nights there and we all take our Sukkot meals there. 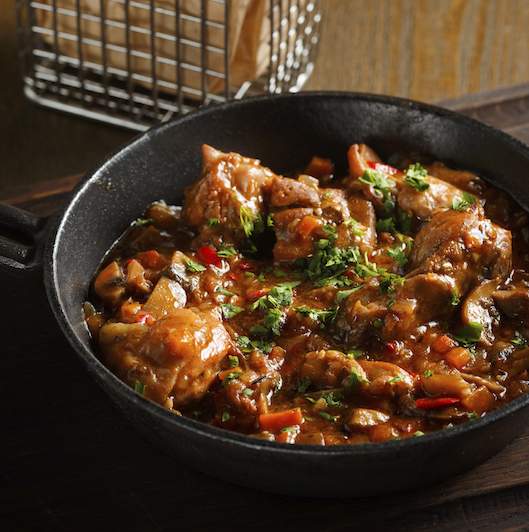 On Shabbat and holidays when we enjoy leisurely, delicious meals with family and guests. Every Jewish holiday has special foods that help to define its essence. Latkes fried in oil on Chanukah for the revealed miracle-- and hamentashen on Purim remind us of Haman and G-d’s hidden miracles. It is a mitzvah to eat matzoh and marror on Passover. Dairy recipes abound on Shavuot because just as milk nourishes a newborn baby, the Torah completely nourishes our spiritual life. We dip apples in honey to articulate our hopes for a sweet New Year on Rosh Hashanah. On Sukkot, eating in the sukkah is itself the very essence of the holiday. 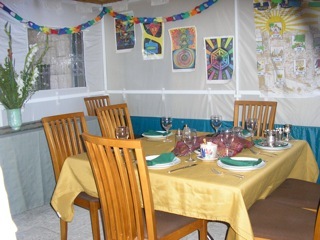 Our primary mitzvah on Sukkot is to eat and spend time there. Our entire body is involved in this mitzvah as we are completely surrounded and encompassed by this simple, temporary structure. Just as every part of our body is encompassed in the sukkah, the mitzvah of eating within the sukka walls encompasses all foods. When I started looking for typical Sukkot recipes, I found that to certainly be the case. Cuisines run the gamut from Asian to Indian, one-dish meals are favored for their ease of transport and stuffed vegetables are traditional, maybe to symbolize being surrounded by the cozy sukkah walls. 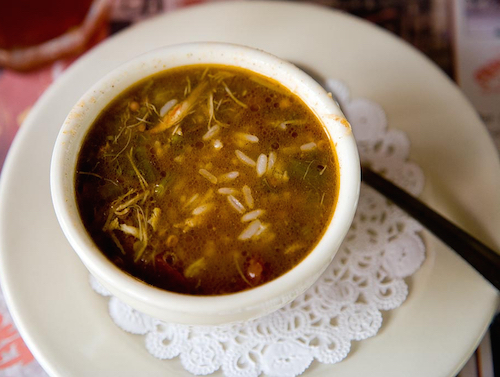 Overridingly, the dishes are noteworthy for their simplicity. I think that this time of year is one of getting back to basics. The sukkah offers no luxuries and not even a modicum of protection from physical elements. Its basic structure brings us into a simple world. A world where we are surrounded by the Clouds of Glory, a world in which we can appreciate more of the things that matter~ rather than having more things. You’ll want to enjoy as much time in your sukkah as possible this year. Hearty soups, rich casseroles and trays of stuffed vegetables can all be made ahead and frozen. 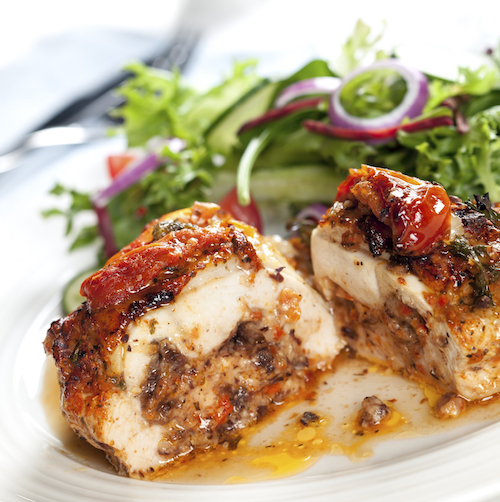 Just add a bountiful salad and bread for elegant, satisfying and simple Sukkot meals. 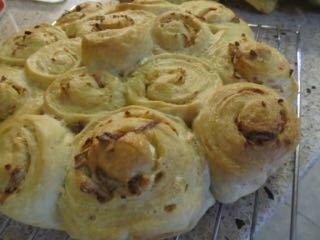 Hearty and economical recipes like Elise's Deli Roll and Sephardic Rosca, bread traditionally stuffed with cinnamon, sugar, nuts and fruit, are perfect mezonot snacks to have around for your sukka-hopping visitors. They are just two of our favorite make- ahead dishes for Sukkot that you'll want to try.